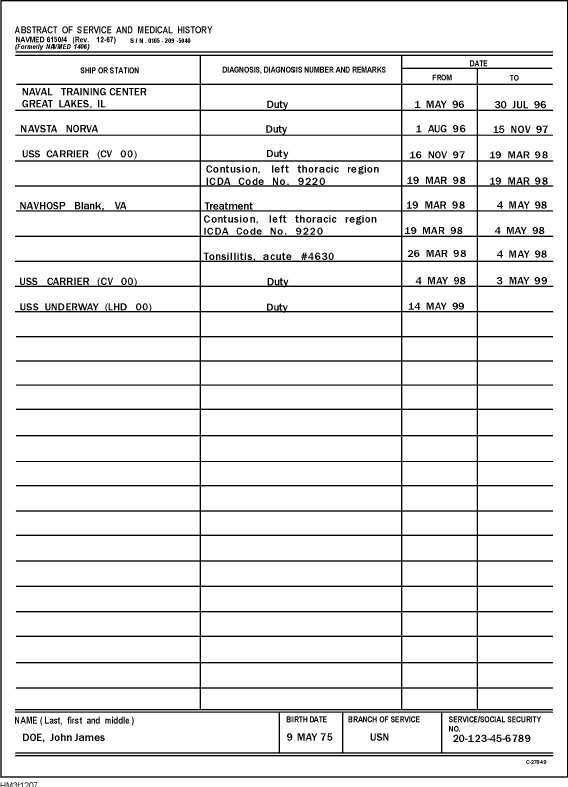 RECORD OF OCCUPATIONAL EXPOSURE TO IONIZING RADIATION (DD FORM 1141) This form is initiated when military personnel are first exposed to ionizing radiation (with the exception of patients incurring such radiation while undergoing diagnostic treatment). This form becomes a permanent part of the members health record. Instructions for preparing DD Form 1141 are on the back of the form. Further instruction concerning the applicability and use of the form are contained in 12-21 Figure 12-7.Abstract of Service and Medical History, NAVMED 6150/4.